We warmly welcome you to our homepage, where you will be informed about our beginnings in the field of gastronomy. We are glad to take this opportunity to let you have some news about some events in Tirolo and the city of Merano as well as its surroundings. Our guests appreciate the familiar atmosphere in our fondly managed hotel. We would be happy to be your host in Tirolo and take care of you during the most beautiful period oft he season. Our hotel is situated in top location. The village centre can easily be reached in 5 minutes. Due to excellent bus connections you can leave your car at our parking and explore the landscape in a comfortable way. We especially point out to the advantage card „springtime“ which will be issued free of charge from March 1st to May 31st 2013. We also invite you to come to South Tyrol and get to know the impressing mountains including the famous „Dolomites“ and the numerous trekking paths. Genuine “old” and new “offbeat” folk music at special locations and various inns and restaurants. This event, which always takes place on Easter Monday, is a must for all fans, and would-be fans, of horseracing. Haut cuisine, historic places and traditional Alpine pasture huts are the main elements of the gourmet event "Stars Castles Mountains". 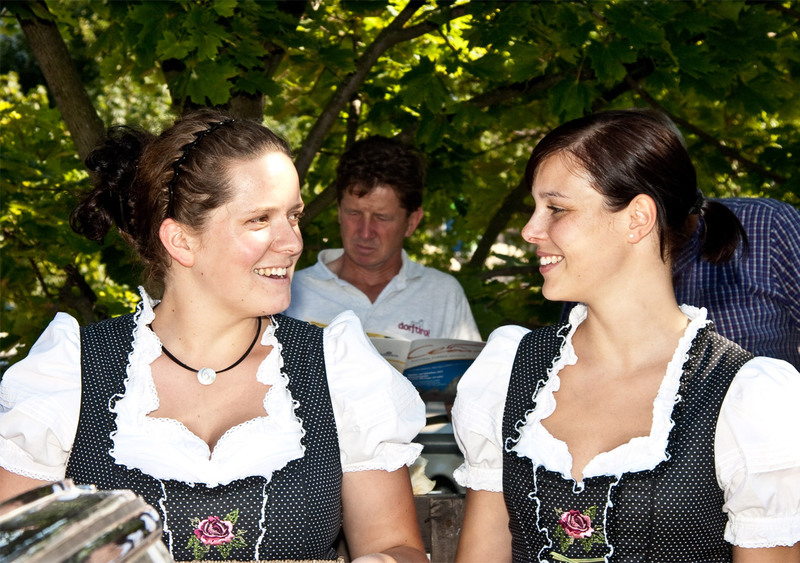 The Soirees at Tirol Castle are held every year in June, July and August, on five Thursdays.